I was wrong. I must admit, For the first time in more than 10 years I made a mistake, I did not honestly believed they were capable to release such a mighty expansion. I expected little from Mordor but ultimately was rewarded with such a blast of the super, intense challenging, dreadful epic adventure and I am far from "The end"
I am currently level 108. I haven't even completed 2nd of Five major regions within Mordor. (Dor Amarath) I did scouted and ventured far away and I've seen most of it. Incredible. Jaw dropping atmosphere. 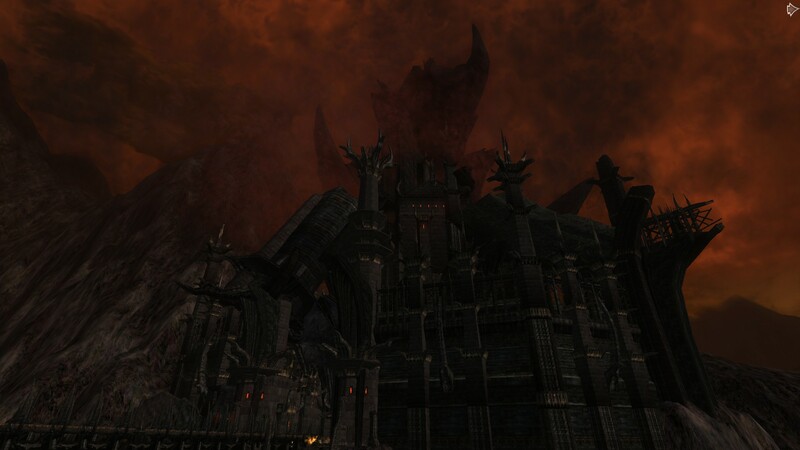 The ultimate representation of hellish landscape,dread,despair,anguis h. Very challenging to solo especially if one is not properly geared. 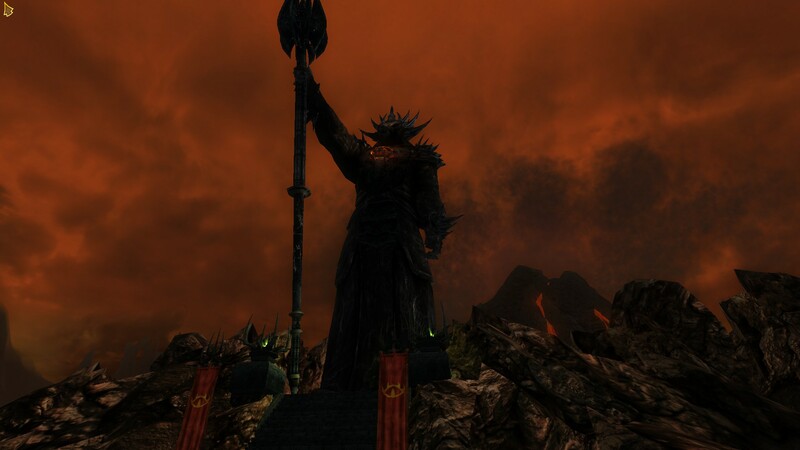 It's the Angmar. 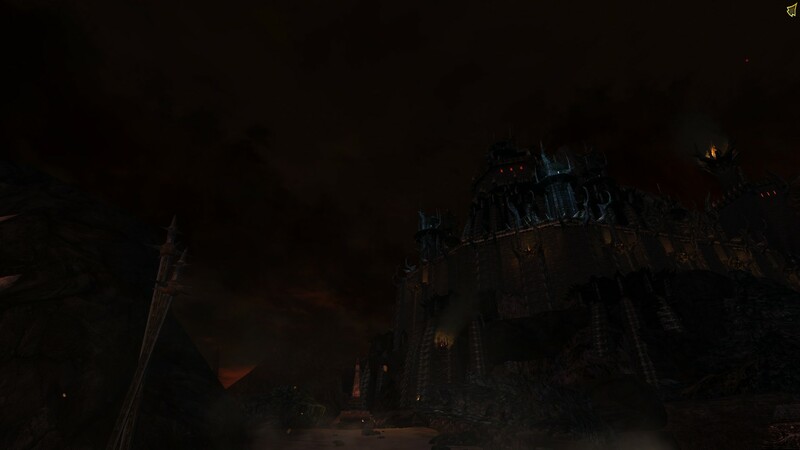 2.0 Remastered ~ Angmar now looks tiny and insignificant. Ignoring the "balance" common bugs,performance issues which are indeed prevalent in every MMO, besides these I have nothing to complain. It is impossible to balance classes, or reduce the grind. These are irrelevant for me. I learned to "live" with it through years. The land is too perfect and so amazingly awesome. I'd gladly grind if needed. Starting from Top notch world building,the grand scale of structures,amazingly creepy soundtrack which fits perfectly, one of the most important things and they did not failed to deliver. 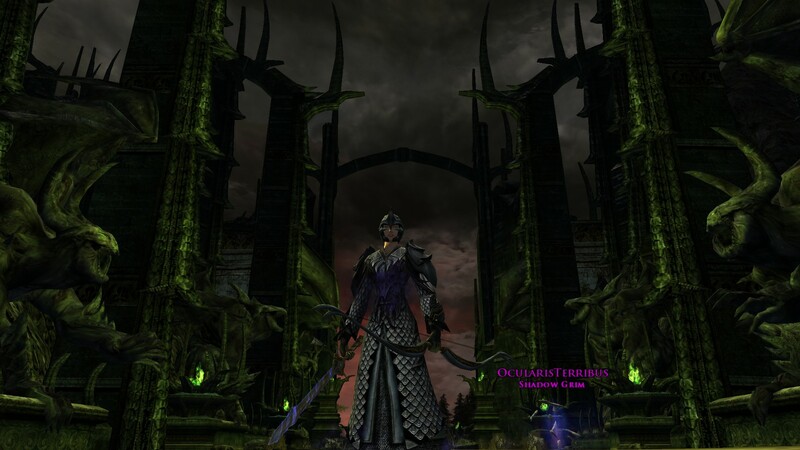 It reminded me on Ancient Angmar days. Music played extremely important role as well as nightmareishhh environment. The Black Book of Mordor is very intriguing. Quests take a long longer to complete because the game is not the walk in the park anymore.Gone are the days of pulling 10 mobs at once and pressing only 2 or 3 skills. The challenge is great and it will force a player to think and use anything on disposal in order to survive, not even to win. You'll die a lot in Mordor. We travel back in time within Mordor. 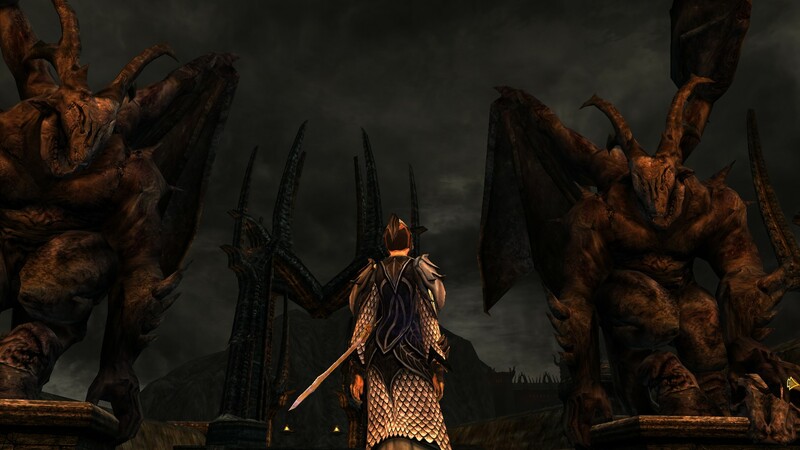 Again I have to mention Shadows of Angmar , these two are connected now and share a lot in common,especially difficulty related. 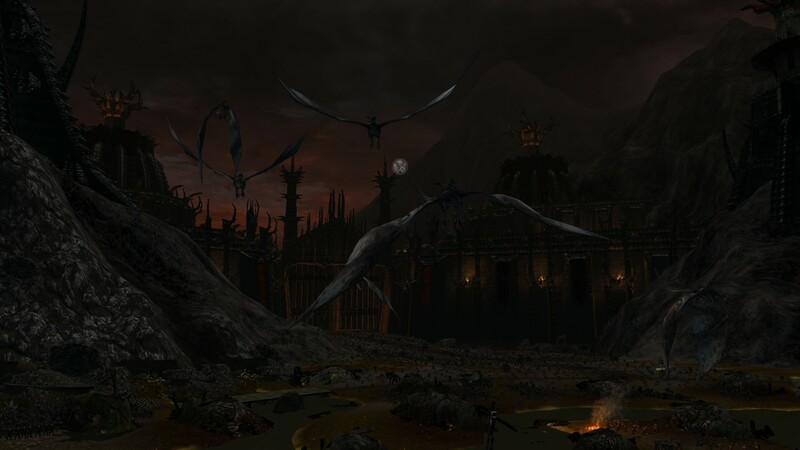 From grand Forges of Udun,Blasted realms of Dol Amarath,Talath-urui,Insanely twisted blood soaked region of Agarnaith,Spider infested Linghris( The mountains are MASSIVE) I loved the view from Cirith Ungol and fact we can enter more than a few truly enormous fortresses. This is a haven for me. Ironic ,isn't it? 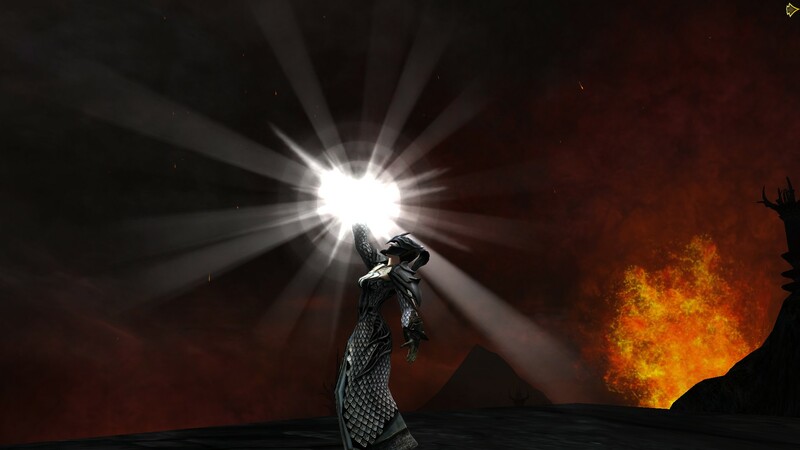 Heavenly adventure as a LOTRO player in a hellish lands. 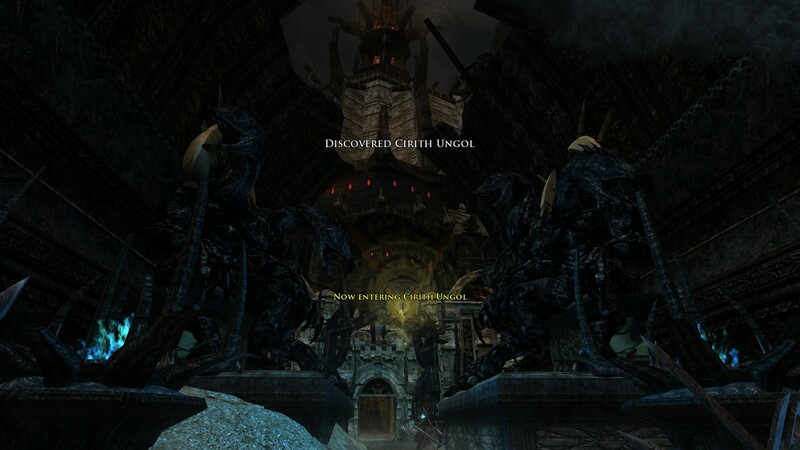 Anglach,Durthang,Barad-Dur.Nargoroth,Sergerost,Naerba nd,Cirith Ungol. Absolutely worthy of Mordor with expection of Barad-Dur which is my ONLY complain. Once I made a thread about and I'll stay behind it. 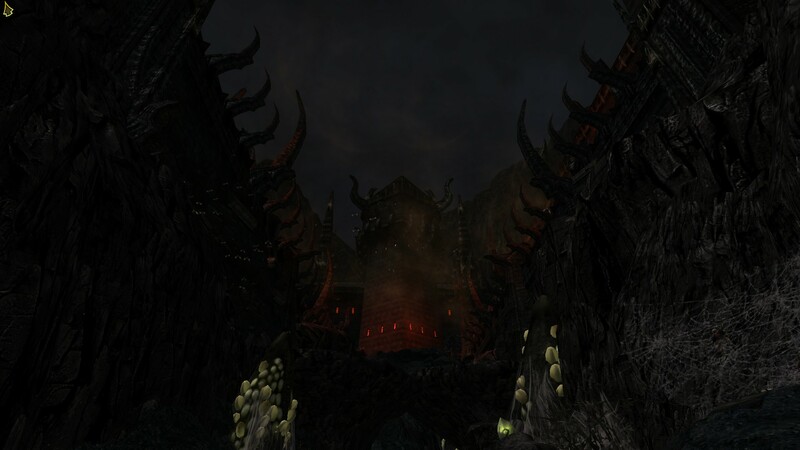 The greatest fortress behind the Angband wasn't impressive as others. It should have been way bigger. At least twice the size,but that matters not anymore. The pages and lore addition is a very good bonus,especially narrative. Mordor has been brought to life in nearly perfect way. My only complain is the scale of Barad Dur and the tower itself. It was not impressive as other structures. To sum it up. This is the ultimate solo mind blowing adventure/challenge.. For me personally it has everything to satisfy. I absolutely loved dark and mysterious places. 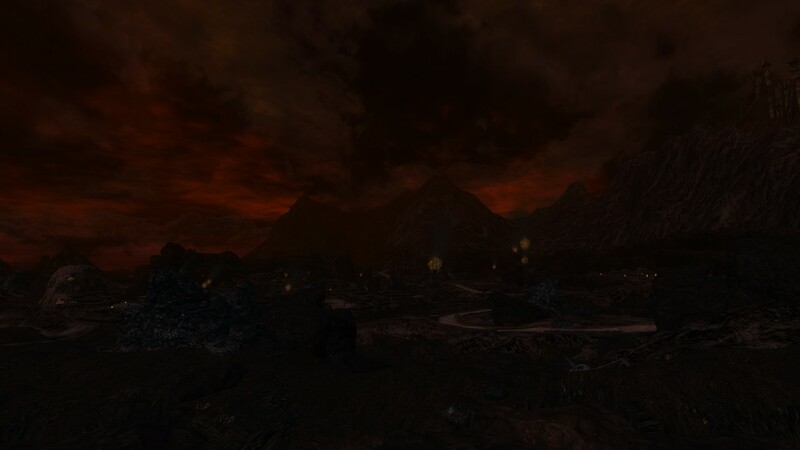 Mordor is depressing ,gloomy and filled with insanity and beings of your worst nightmare. I enjoy exploring and killing things now more than ever. I m not getting bored, not even the slightest. Wow again. And I haven't even scratched the surface. Its the best region since Angmar and Moria. Land of Shadow overshadows now these two in some points even. I never even dreamed I'll say this. An Advice; Lock the door,turn off the lights,play solo,leave world chat, completely immerse yourself in Dark Land. Play alone for highest possible challenge. Thank you SSG. It's good to be back again. 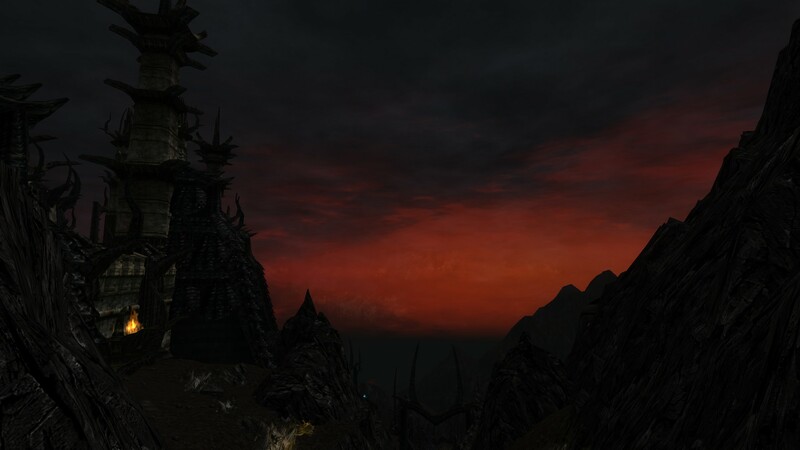 There and back again ~ From Angmar - Mordor. I never felt this feel ever since late 2008. Enjoy the pictures. One does simply walk into Mordor. One does not simply quest within Mordor. Update; I posted a LOT more pictures from every single region. SPOILERS included. Black book of Mordor related as well. Last edited by Ninky; Aug 16 2017 at 03:26 AM. Yes!!! Signed and stamped! Thank you for expressing so beautifully what I think too! Whew. I may be wrong but I'm guessing that you really really really like the Mordor expansion lol! Can't wait now to get to it. Thanks for the awesome pics! Those are some epic screen shots! I wish SSG had shown some of that kind of stuff in the promotional trailer! 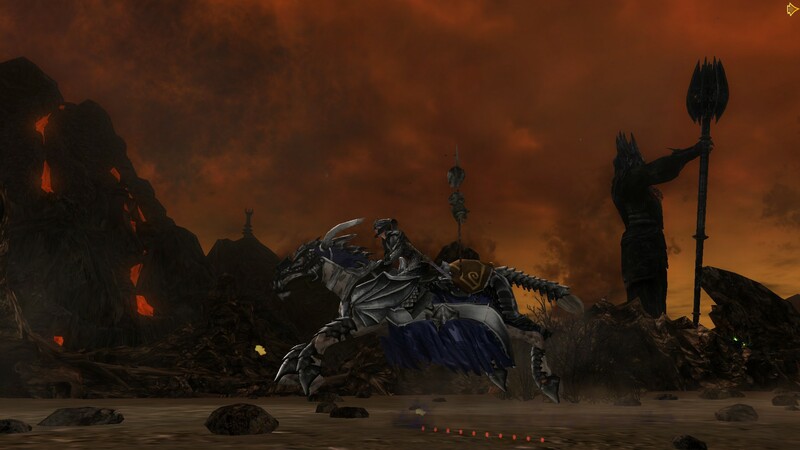 "Ride forth, men of Rohan, ride to battle, ride to death, for the Eoringlas!" You have put into words exactly what I have been trying to tell my husband when we are running around in Mordor together. I am in awe of the expansion and the beauty of the dark place. Thank you for expressing it the way I feel. @ OP Ninky -- Thanks for taking the time for that great write up and review. Took the words right out of my heart. 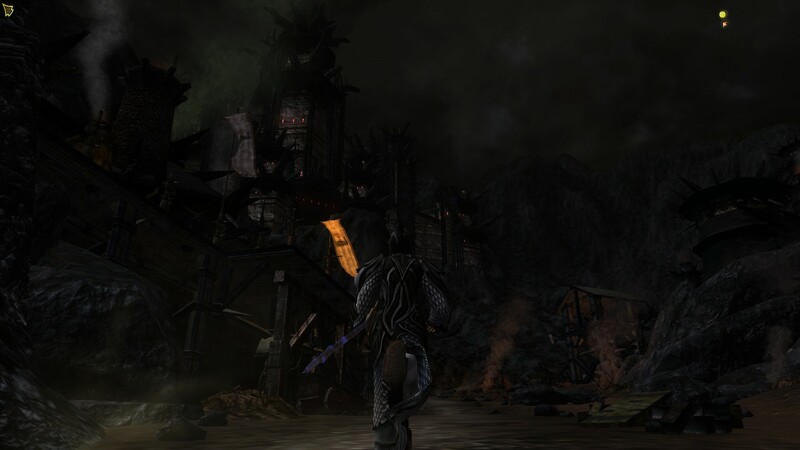 Mordor is mind blowing, it's something you have to play and immerse yourself in to believe. Definitely room for improvements, further balance, polish, etc, however it's very, very solid, stable and darkly spectacular in its current release. I've only seen Udun thus far and I'm already mind-blown by it all, in a positive way. My main character has ties to Durthang, IC, so seeing that place finally realized in a way that can actually be seen and explored is awesome and awe-inspiring, as is the entire region. Can't wait to see the rest of it! Thank you, SSG, for your hard work and this great gift, both Mordor and the rest of Middle Earth!! I agree with the OP. Mordor has truly blown me away. It was the place I wanted to see the most in this game and waited years for this moment, and it's well worth it. 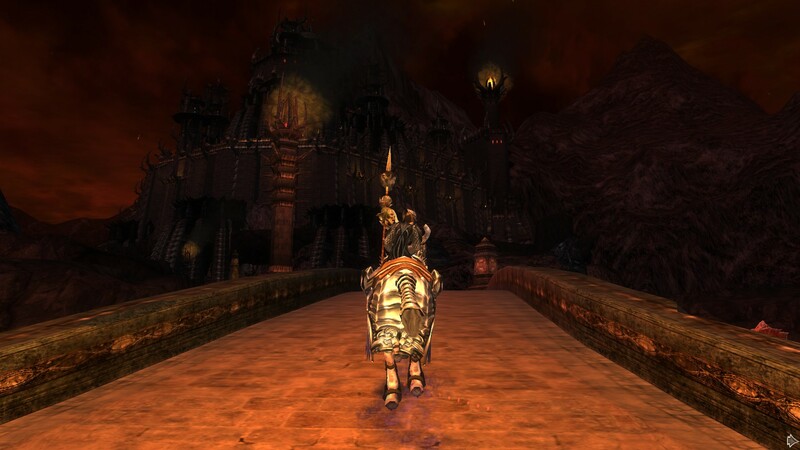 Mordor is imo the same quality as Moria, landscape and story wise. The atmosphere has this overwhelming sense of immersion. And the music just pulls me in even more. 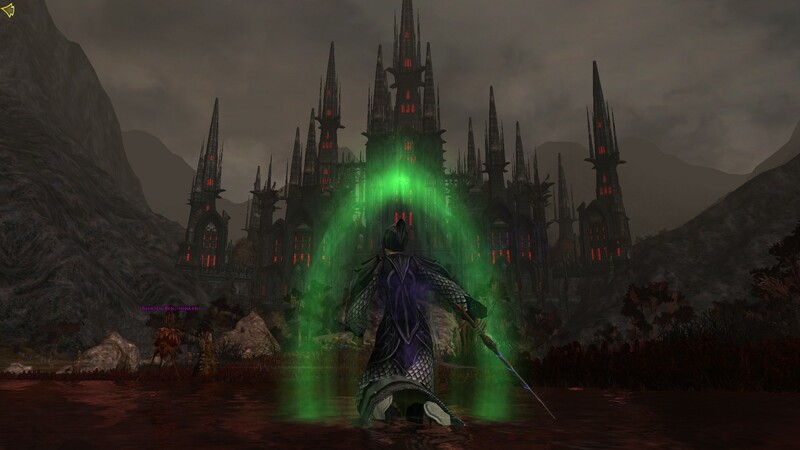 I love all the different enemy strongholds scattered out in Mordor. 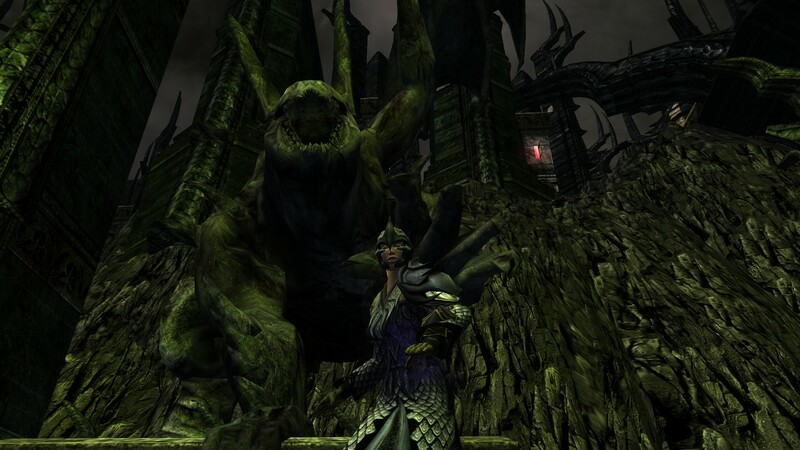 While I agree Barad'dur was slightly disappointing. I was glad to finally see it. The design of it is cool. Just had to be a bit bigger. Love the screenshots. I was disappointed with the look of Mount Doom and inside Barad-Dur though. Mount Doom particularly felt unfinished (oh dear Lord those textures....) and less spectacular in places than I hoped so much it would. 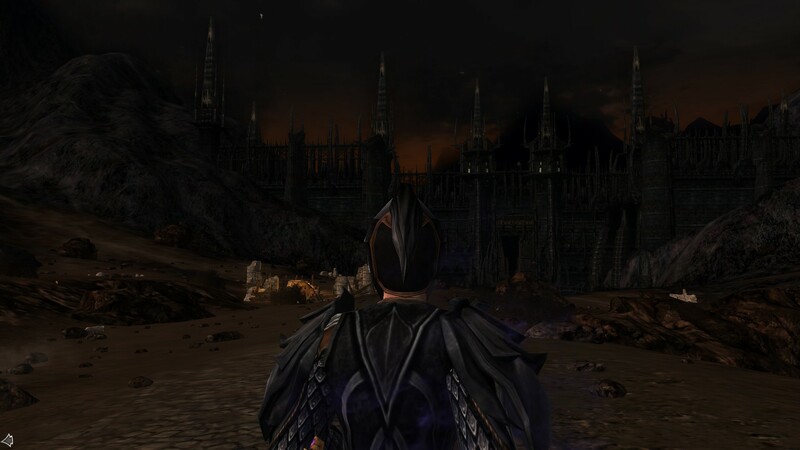 Except...I think there's a bit too much darkness for post-Sauron Mordor. I realize it's just in the hours and days following the destruction of the Ring, but the atmospherics should be more like Dor Amarth and less like Udûn, imo. I think its great too. The only thing that they could have worked more on is the mountain textures... lotro has beautiful mountains in other regions like early Gondor for example. These mountains looks so low res compared to the other regions. Otherwise, love Mordor. IThe only thing that they could have worked more on is the mountain textures... lotro has beautiful mountains in other regions like early Gondor for example. These mountains looks so low res compared to the other regions. I agree. I am having a great time so far. 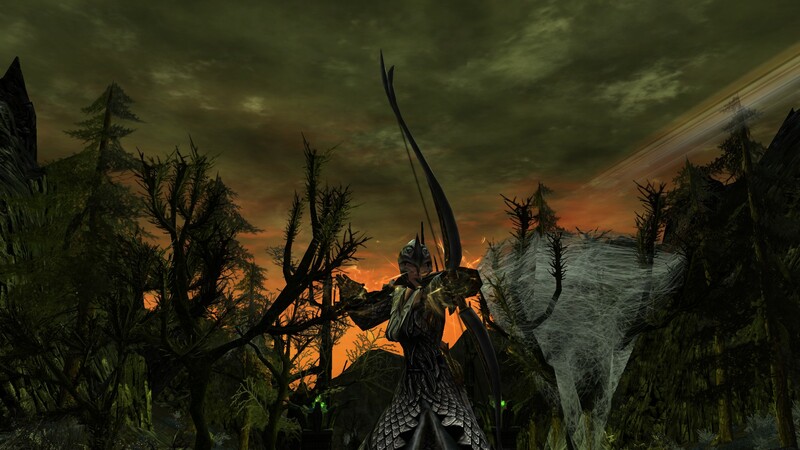 I really enjoyed Mirkwood so for me it is at least the most fun I have had with an expansion since then. 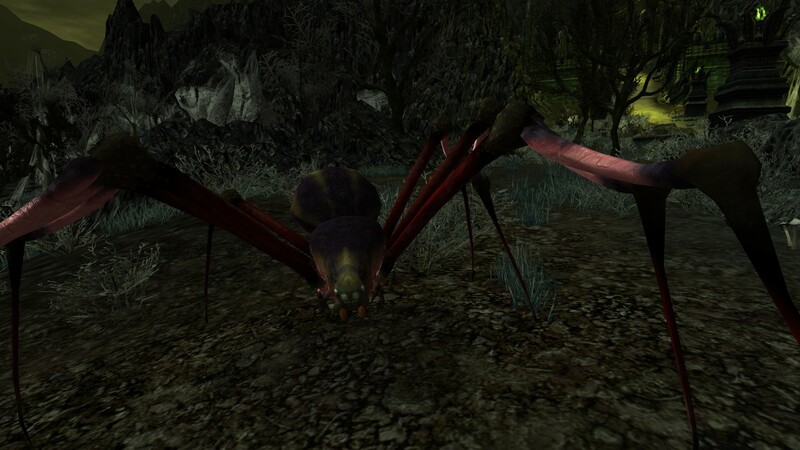 I am currently "progressing" through Lhingris, Shall I say ~ I m being Hunted down by untold number of Arachinds ~ This place is infested with bugs! 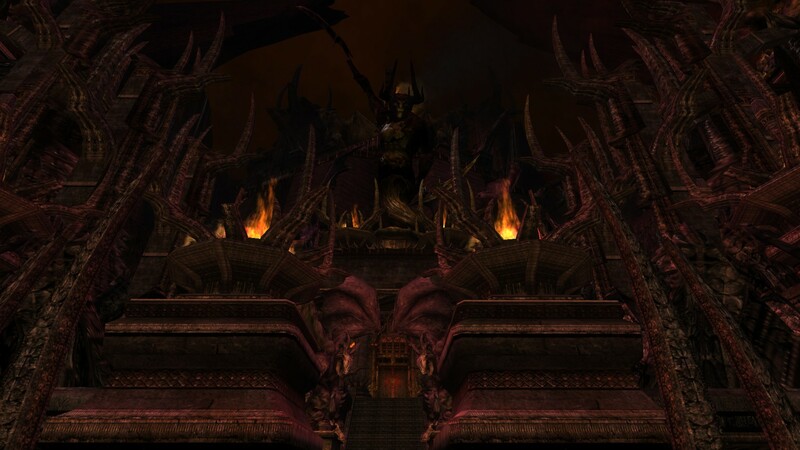 I love the mighty gates of Durthang surrounded by SIX Thaurlach replica Stone statues! Hej! By Orome! Not me, This was dreadful. I cannot wait to venture deeper. Story is outstanding! It's getting even more thrilling than before! 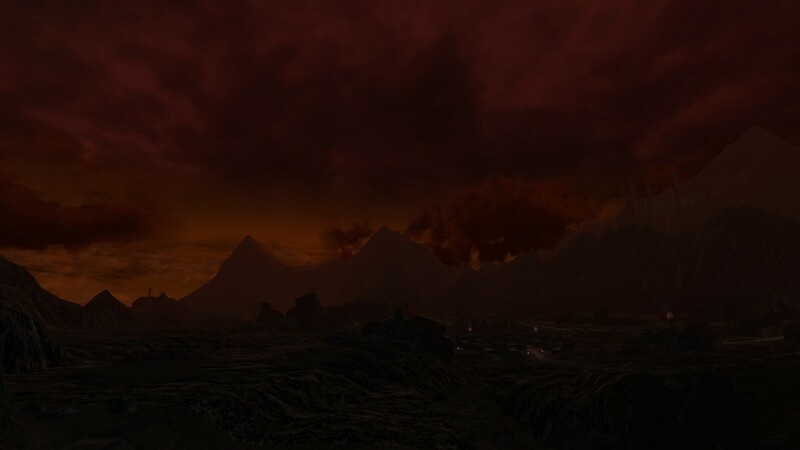 Yes, Mordor looks awesome. Dark, gritty, and foreboding... It is everything I imagined it would be. 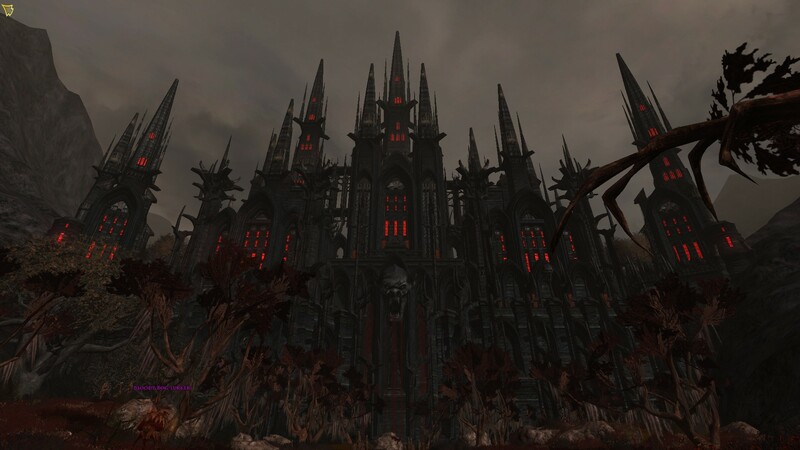 Mordor is well done, despite bugs and all. I don't regret caving and getting it. Awesome screenshots Ninky! Thanks for sharing.